BettercareMD™ health navigators are standing by ready to help connect you with a trusted, licensed doctor and the better care you deserve. 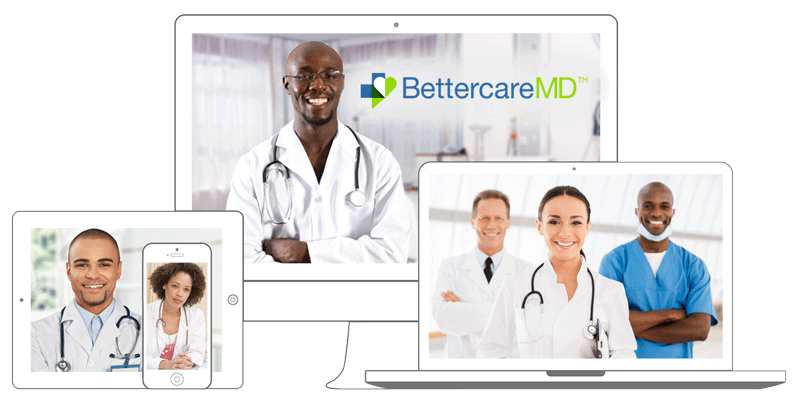 You can connect via secured internet video, phone or the BettercareMD™ app. You choose the most convenient and comfortable option for you. Not ready to talk with a doctor, please fill out the contact form below, and a BettercareMD™ health navigator will call you within 24 hours to schedule a visit with the physician at a time that is best for you.